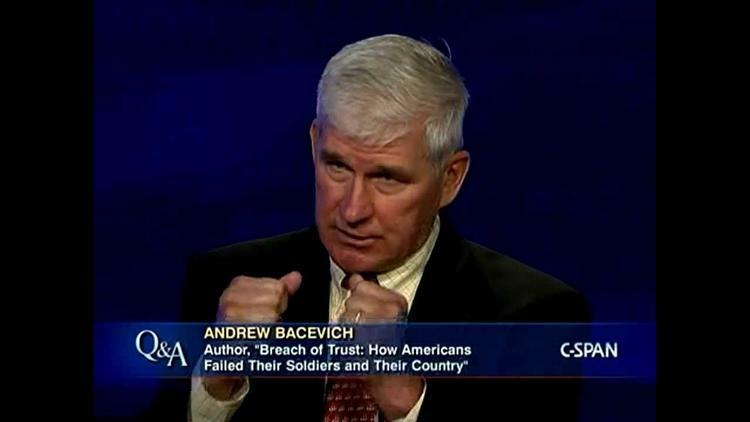 Andrew Bacevich’s “Breach of Trust: How Americans failed their Soldiers and their Country” is a post-mortem on the professional standing army that the US has sent to fight in Iraq and Afghanistan. Bacevich argues that the citizens’ standing army created by the draft in WW II and after had been highly successful militarily in Europe and Korea and had been a profound expression of individual buy-in and shared national sacrifice. The drafted citizens’ army, however, met its Waterloo in Vietnam. A long war against a determined guerrilla force that became controversial at home and was not obviously connected to defense of the homeland produced profound fissures between the draftees and the officer corps, leading to “fragging” instances in which corporals simply assassinated their commanders. The draftees did not want to be there for the most part, and turned to drugs and other vices to anesthetize themselves. The commanders increasingly simply lied about the real disaster on the ground, both the failures in fighting the Viet Cong and the dysfunctional, divided US military. Richard M. Nixon’s solution, abolishing the draft and creating a professional army, took domestic political pressure off him and allowed him to stay in Vietnam an extra few years. Initially the officer corps was happy with the idea of a professional army, which was populated on the whole by soldiers who wanted to be in the military. Either they were upwardly mobile minorities or they derived from white families with a history of serving and of respect for service. The short, brutal and victorious first Gulf War seemed to vindicate this approach. In fact, like hidden cancer, a whole host of potential pathologies lurked in the standing professional army. These became amply clear in the George W. Bush administration when the public lionized military service but treated the average enlisted man like dirt. Americans were actively discouraged from shared sacrifice and told by the president to go shopping and to go on vacation at Disney World. At the same time, the grunts did the heavy lifting, sentenced to multiple long deployments in a set of guerrilla wars that politicians maintained they won in the face of a gritty litany of disasters that left the countries where they fought long-term basket cases. The disjuncture between the war of the professional soldiers and the idyls of mall shopping back home forms the backdrop for Bacevich’s searing indictment of the decline of citizenship in an America that seemed increasingly to go to war casually and to do so off stage. The biggest victims of this pathological system, he argues, are the professional soldiers, who are celebrated in the abstract but screwed over in the reality.